Egypt offers all who visit the chance to step back in time thousands of years. 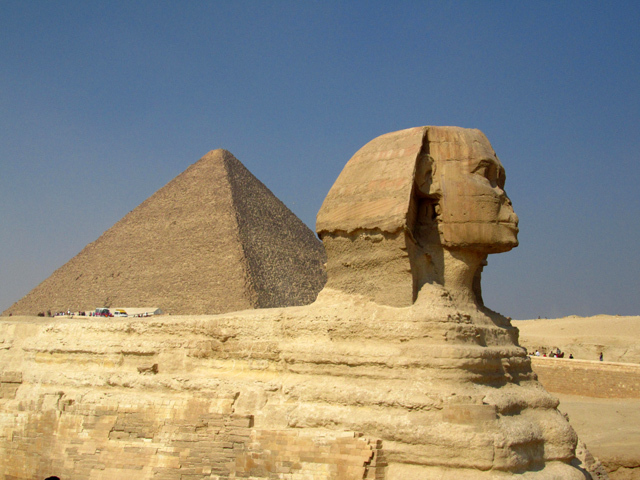 It's hard not to be swept away by the history of the ancient Egyptians as you walk amongst the monumental Pyramids of Giza, and watch the fertile countryside pass by on a cruise down the Nile River. Internet and wifi are becoming more and more popular throughout Egypt, especially in the major cities. Nowadays many Egyptians rely on the internet as much as anywhere else in the world. Wi-fi is available at many mid-range and upper range hotels throughout the country. There is also a growing number of local cafe's that offer high speed wifi. McDonald's, Beanos and Cilantro chain restaurants normally have wifi connections. Wifi is not everywhere in Egypt, but there are a substantial amount of public places where you can find it. If you would like your own wifi connection anywhere you go, you may want to check out a USB internet device. If you don't have your own computer you can find internet cybercafe's all over Egypt that charge just a few Egyptian Pounds per hour. It's not quite as easy as it could be to get a SIM card in Egypt. You have to visit a branch of a mobile provider, show a passport and address and then they will sell you a phone number. For a SIM card to work in your mobile phone you'll need an unlocked GSM 900 compatible international phone. SIM card phone numbers can be purchased for around 10 LE ($1.68). For mobile internet access your best choice is either Etisalat (3.75G) or Vodafone. Each company offers high speed prepaid mobile services and you can check the rates here.